On Friday afternoon at around 14:00 hrs, a shooting between agents of the State Attorney General’s Office of Jalisco and criminals took place. 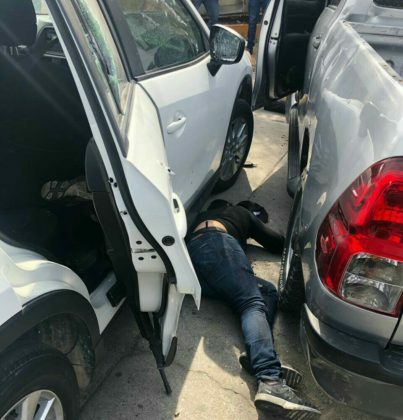 The encounter happened at the intersection Boulevard Colón and Calle De las Américas in the municipality of Tlajomulco de Zúñiga, located some 15 kilometers south of Guadalajara’s center. The balance of the skirmish; five criminals were killed and four other people (three thugs and one uninvolved passer-by) were wounded. No casualties were reported among the security forces. 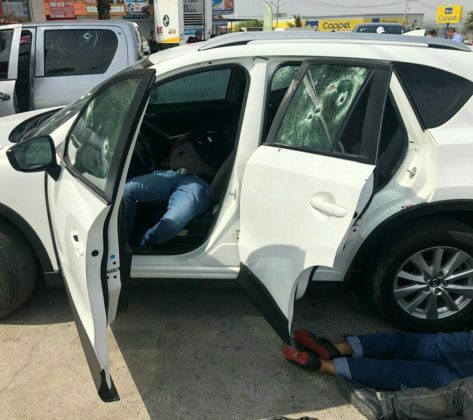 Reportedly, the shootout erupted when the agents noticed and subsequently approached/confronted the armed men riding in two trucks, a Mazda CX5 and a Toyota Hilux. Tepic (State of Nayarit), situated about 185 kilometers northwest of Guadalajara. 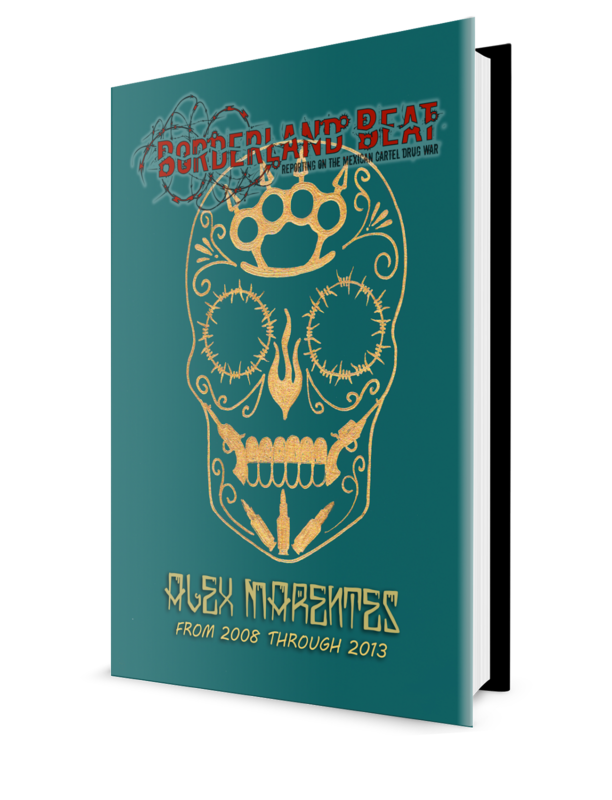 Los Mazatlecos is one if not the most prominent and strongest of all the criminal groups which have emerged some years ago from the Beltrán Leyva Organization. The brother of “El H3”, Juan Francisco Patrón Sánchez aka “El H2”, was shot dead by security forces in February 2017 alongside several of his sicarios in the course of a massive security operation in Tepic. “El H2” was Nayarit plaza boss and considered one of the most important lieutenants working under Los Mazatlecos leader Fausto Isidro Meza Flores, alias “El Chapo Isidro”. Given that Friday’s shooting took place shortly after the arrest of “El H3”, as well as potentially geographically near (for sure in the same municipality), it is possible that the killed criminals were belonging to the entourage of “El H3”. However, this is pure speculation. As a side note, another open question up for speculation is what the reason for the presence of “El H3” in Tlajomulco de Zúñiga was exactly about, given that his home base is in Nayarit. 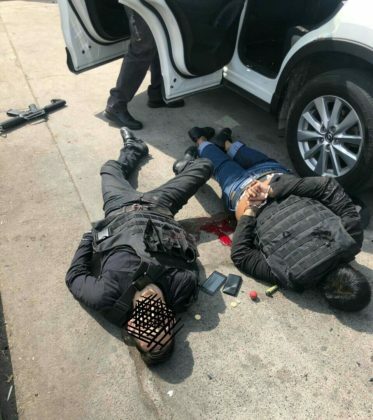 Nonetheless, considering that Tlajomulco de Zúñiga is one of the contested areas between CJNG and its splinter group the Nueva Plaza Cartel, which has a known presence there, the deceased criminals’ affiliation to one of the two groups would be highly credible as well. Regarding H3’s presence in Tlajomulco; could have been living near Guadalajara for security, and we don’t know that the location H3 was captured was where he was living (i.e., could’ve been living in Providencia or somewhere else fancy). Further, there’s never been any reported clashes between CJNG and Mazatlecos that I can remember. Seems like CJNG and the BLO-heir organizations have an alliance, or at least avoid each other. I’ve read rumors of such an alliance going back to the Chapitos kidnapping but haven’t seen anything validating the rumors. Beltran Leyva And NG Arent Allies . They Are fighting for the plaza of Nayarit and Part of Jalisco . H3 Brother H2 had control of those areas . 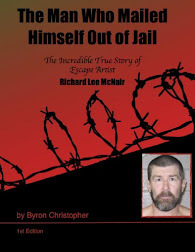 Don Mencho Betrayed Alfredo Beltran Leyva Son (Tito Beltran Leyva) and Turned him in in Jalisco . Is Ivan still in control of La Nueva? Hope they are cjng trash, but hey trash is nevertheless. Although the handcuffs could have been placed for security reasons after the shooting took place, it looks like one of the victims was shot in the back. No wonder law enforcement is not respected in Mexico. Its a shame some honest police suffer the consequences. WTF. A shot in the back is all he deserves. A shot in the back of the head would have been better on these lames. I am relieved that law enforcement has taken over responsibility from the military and saddened that clashes like this one inevitably hardens and makes the police more cynical and ruthless. But the jerk gangstras brought it onto themselves by ambushing the police. Proves that CJNG and others have double digit IQ levels. Never punish that which can eat you. Good riddance hopefully all these thugs meet the same fate.